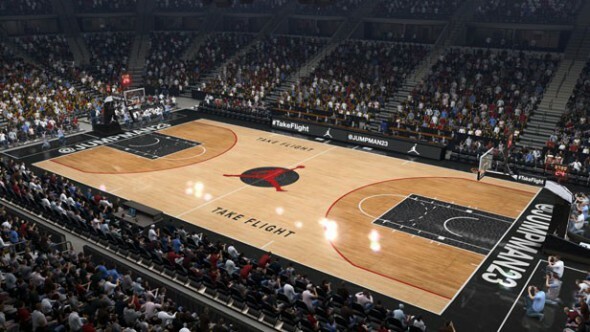 After the cancellation of NBA Elite 11 and NBA Live 13 and the underwhelming and badly received NBA Live 14, EA tries to blow new life into the series with NBA Live 15. 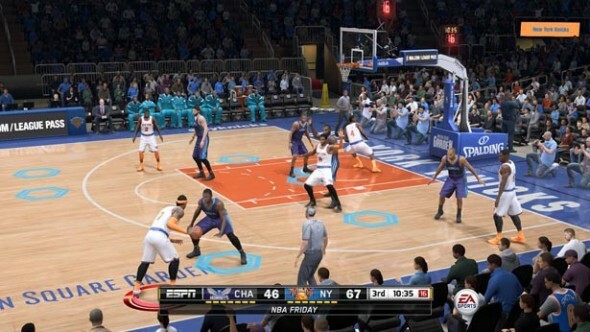 Competing with 2K’s NBA2K15 EA promised to bring improved graphics and mechanics as well as new lighting effects, but does not quite deliver. In Rising Star you get to create your very own basketball player and decide what position you want to play in. The customization options are ok, but could use a bit more depth. For some reason the list of shoes to pick from is about ten times longer than the list of character heads. Whether or not this is a quip at pro basketball is not entirely clear. After creating your player, you get to play in an exhibition match to showcase your (lack of) skills before being drafted, and you’re on your way to becoming a legend! Parts of the game look pretty good, the court is the just the right amount of shiny, the game clock does what it’s supposed to do, and most of all: the crowd looks like a real, living mass of people. Clearly the effort put in the surroundings has paid of, it almost looks like a real basketball game. Even the short espn cutscenes could be mistaken for the real thing. It’s a real shame that it pretty much falls apart as soon as the game actually begins. Most of the basic animations look reasonably fluid, but every time you try to pull off a move, everything glitches to a predefined animation, completely breaking the flow of the game. Other weird things happening include players teleporting and jittery basketball movement, but on the bright side it does lead to hilarity at times, it’s not often you get to see a basketball player glide 5 meters through the air towards the hoop. As with the graphics, the ambient sound is pretty convincing with the crowd cheering and some bass-heavy drums setting the mood. The optional commentators deliver mostly relevant remarks which can actually improve your game if you chose to listen to them. Even though the voice acting is spotless, it does get pretty repetitive so the limited but perfectly fitting soundtrack will probably be the welcome changeup for most players. As expected, you play a regular game of basketball in most of the game modes, with the only variations being whether or not you can control your entire team or just one player, and a choice of opponent (CPU or real person, over the internet or in the same room). So even though the main menu might seem to offer a wealth of options, most of it is minor variations of the same thing. 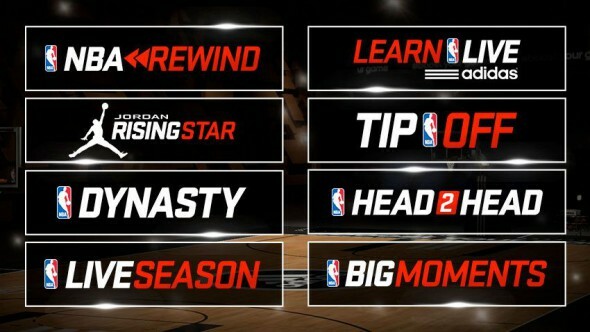 Some of the game modes are Live Season, which lets you replay a real-world basketball game, NBA rewind, which involves replaying a certain phase of a real-world game, Dynasty lets you manage a team, and tip off is there for when you just want to jump in for a quick game. Another thing that is very constant are the painfully non-reactive controls. Trying to pull off a smooth and quick play usually results in frustrated button mashing and the ball going everywhere but the basket. Talking about non-reactive, trying to play the rising star single player mode features some of the most passive AI teammates in gaming history. You are forced to give them commands without actually taking control of them, usually the result of this is hard to predict at best of times, and again, the is ball going nowhere near where it’s supposed to go. Some practice does make it slightly better, but usually just results in getting your team to pass you the ball as quickly as possible to avoid these mess-ups and just try and making those points on your own. Scoring isn’t easy either. An indicator at your character’s feet is supposed to give an indication to whether or not you’re going to make the shot. This only represents how covered you are by the opposing theme though, and while you do get feedback about the actual timing of your shot, it’s only after you make it, so it remains guesswork at every try. As far as the little meter goes, on par with the game it doesn’t really represent the things it’s supposed to. Even a guard being blocked by a teammate standing a whole meter away can make you go in to the red, making whether or not the ball goes in a randomly decided event at best. On the defensive side, things don’t get much better. Actually trying to cover doesn’t seem to do much most of the time, since when the opposing team goes for the basket, the same pre-programmed animations mentioned earlier kick in, resulting in a score almost every time. 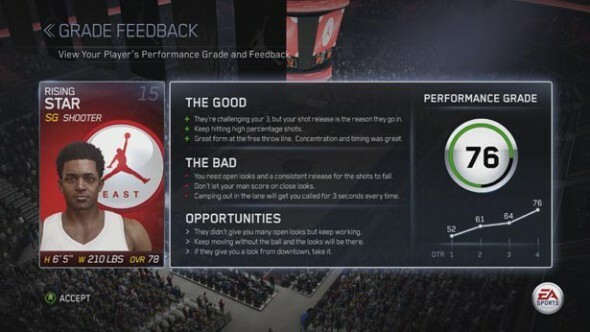 Single player awards points during a match for things like taking an open shot, playing a good defense or assisting, and gladly subtracts these for missing a shot or making a bad pass. Which sounds all good in theory, but gets a lot more complicated when playing with a zombie-like, zero-initiative-taking team. So instead of trying to actually win a match, it becomes a lot easier to perform a certain set of actions and just score a better performance for yourself, which will in turn factor in to your overall player progress and let you level up certain attributes of your rising star. The one thing that almost makes up for all these shortcomings is multiplayer. It is surprisingly enjoyable to play with a friend, sitting in a couch. And all of a sudden the bad things become the good, when someone is sitting next to you to make fun of for missing ten shots in a row for no discernable reason, the game turns from infuriating to hilarious pretty quickly. And the same goes for the awkward, glitchy scripted moves and potato-for-brains AI. 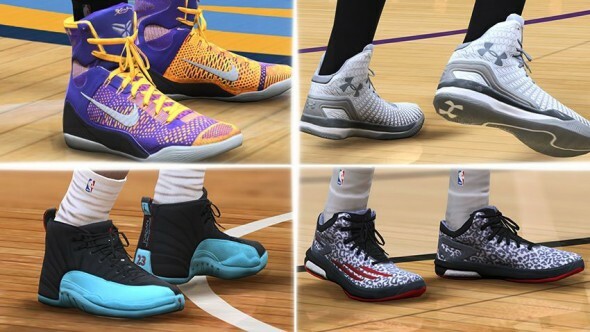 All that doesn’t mean a game loses its competitive edge, far from it, with the right friends a game of NBA Live 15 becomes quite the nailbiter. In a good way. Although not bad in the graphics department and with satisfying audio to back it up, it’s a shame the main event, the actual gameplay, is ruining what could have been an enjoyable game. It can get pretty fun in certain circumstances, but for all the wrong reasons, and a fundamentally broken game is definitely not worth this kind of price tag.